Hanoi (VNA) - The Thanh Hoa Water Supply JSC on April 3 sold 11.05 million shares on the Hanoi Stock Exchange (HNX), earning 365.7 billion VND (15.7 million USD). A total of 16 investors, including one institutional investor, signed up for the auction and registered to buy a total 117.2 million shares. Four individual investors successfully purchased all shares offered for sale at the auction. The highest bid price was 51,000 VND (2.19 USD) per share and the lowest was 12,000 USD per share. The company set the initial bidding price at 12,000 VND per share. The Thanh Hoa Water Supply JSC is one of the five companies that put shares up for sale on the HNX in April. 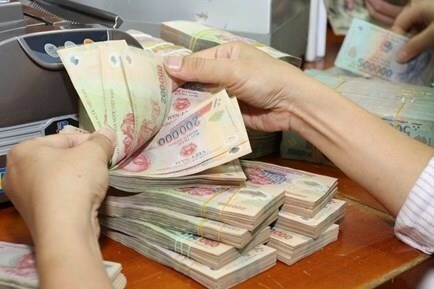 The Saigon Bank for Industry and Trade (Saigonbank) will auction more than 15 million shares on April 19, according to the HNX. The total number of shares to be auctioned on the HNX in April is more than 37.4 million shares. Other companies include the Thuan An Coffee Co Ltd, which will sell more than 1.34 million shares on April 26. In March 2019, investors bid for shares of six companies on the HNX. Among those firms were the ceramic and tile producer Viglacera, Lilama 18 JSC and Lilama 69-1 JSC. The three companies received total 1.67 trillion VND (72 million USD) from selling their shares with Viglacera’s income accounting for 95 percent of the total.